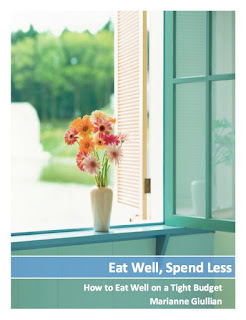 Spendwise Moms: Live Well on Welfare Series: You Don't Need to Own It! Live Well on Welfare Series: You Don't Need to Own It! I have helped many people get rid of clutter in their lives. It doesn't matter whether you are rich or poor, you can still have more than you need. One thing I have noticed about some families is the enormous amount of movies they own. Besides having to worry about storing them and dusting them, have you ever considered how much it costs to own so many movies? Even if they are only 10-15 dollars each, if you have a hundred videos you are spending between 1,000 - 1,500 dollars that you could use for a much needed emergency fund. If you just rent or borrow each movie from Redbox or from friends, you could bank about 90 percent of what you would have spent to own it. I have found that there are very few movies that are really worth owning. Most just end up sitting on a shelf for years until you finally decide to get rid of them. You rarely recoup the cost of the movie when you sell it, and frequently lose over 90 percent of what you paid for it. What a waste of money! Who wouldn't want less clutter, less to clean and more money in the bank? Next time you think of buying something, ask yourself if you really need it. Do you really want to take care of it? Would you really use it enough to justify the cost? Using the library is one good way of getting what you want without having to buy it or take care of it or have it take up space in your home. Libraries have all sorts of books, CD's, and movies and if you can't find what you want there then they can order it for you through inter-library loan. Do you really need a mushroom slicer, a banana slicer, an avocado slicer, a grapefruit knife, an egg slicer, etc. Why can't you just use a knife and slice it yourself? Save yourself money and cupboard space by doing so. Do you really need your own snow blower, rototiller, fertilizer spreader, etc. Why not borrow your neighbors and loan him something of yours that he doesn't have in return? Can you get by with public transportation and a bike or walking? If you don't need a car, don't get one. Aside from a mortgage, If you can't afford to pay cash for something, you can't afford it. Too many time people think they are entitled to have things they just cannot afford. Think of other ways you can enjoy the things you want without buying everything yourself.